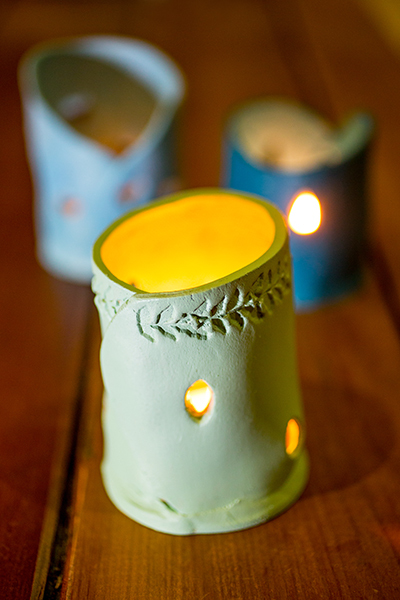 Design and mould your own three tea-light holders out of airdry clay. Kaye will show you the ropes on how best to manipulate the clay to create a great shape for your tea-light. Once dry, paint your tea-lights and coordinate them with your own home.